Hario V60 Drip Kettle Thermometer - indispensable gadget for any lover of alternative brewing methods. 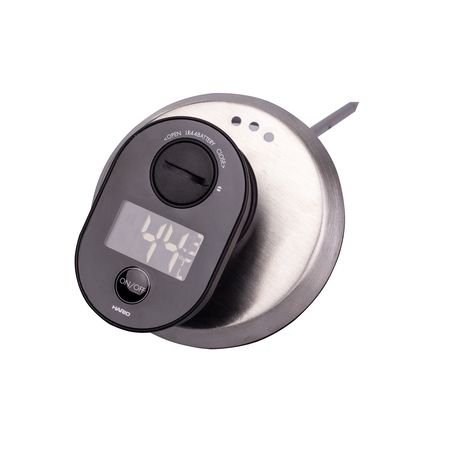 The thermometer with a perfectly fitting lid for Buono Kettle allows for additional control and facilitates brewing. It provides extremely fast and accurate measurement. 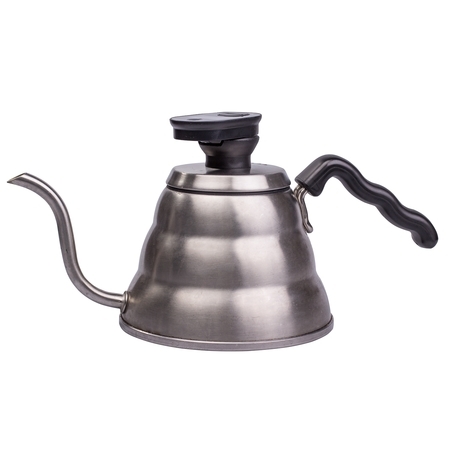 The lid corresponds to the size of all the models of steel Buono kettles, and for better fit and insulation, it has been additionally equipped with a gasket. You can easily remove the thermometer from the lid. 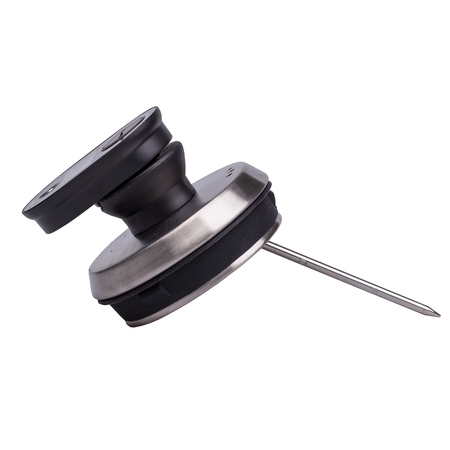 The angle of the thermometer position allows for accurate temperature measurement - the thermometer tip, when in the kettle, is located by the neck. The temperature is displayed in Celsius degrees with the accuracy to the nearest decimal point. The device is powered by LR44 type battery (included). * The set includes the thermometer and the lid. The kettle shown in the pictures is not included. Question: Jakiej produkcji jest termometr?